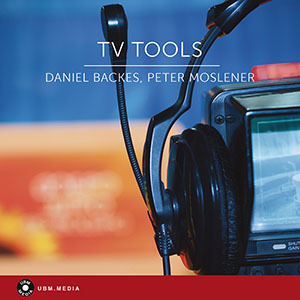 Another production music toolbox, jam-packed with versatile tracks for your next TV production or commercial spots. Youthful, modern and surprisingly many-sided. Confident groove with electronic bits and funky guitar interludes. Steady and energetic. Upbeat & optimistic pop tune for leisure, sports and entertainment. Airy guitars, piano accents and a steady beat. Mid-tempo. Fun rock'n'roll track with a vintage feel. Good-humored and catchy. Slightly mysterious atmosphere meets funky guitar and a straight-forward beat. Classic spy movie vibe without sounding too retro. Contemporary electronica with a chilled vibe. Laid-back, sleek and radiating positive energy. Warm, uplifting track for commercials and trailers. Very family-friendly. Heavy yet not aggressive. Guitar-driven rock track for action and sports. Upbeat, quirky song for use in commercials, family TV and entertainment. Breakbeat, heavy bassline and funky guitar characterize this contagiously catchy power pop track. Light-hearted, airy, floating. For images of nature, travel, busy city life and leisure. Calm and reflective. Bells and strings develop into a cinematic theme featuring a beautiful piano line. Sunny track that radiates warmth and positivity. For commercial use and daytime TV. Neutral and subtle electronic track for images of science, technology and industry. Mysterious, not too dark. Modern electronics, electric guitar and floating bells. Sunny track for that holiday feeling. Laid-back, relaxed, youthful. Playful electronics and a chilled beat. Positive, warm and ideal for daytime TV. Warm electronic sounds. Cheerful and steady. Mid-tempo groove with hints of dub and electronica. Laid-back. Neutral underscore for programs on society, nature and modern life. Nervous track suggesting time pressure and approaching danger.